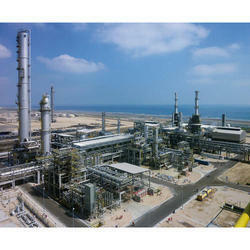 We are offering EPC Projects to our clients. It is equipped with the requisite expertise and wide-ranging experience to undertake EPC or lump-sum turnkey projects (LSTK) contracts with single source responsibility. The track record covers every facet of industrial sector & infrastructure development projects. Factories: We offers turnkey design & construction services for the factory buildings. Capable to handle any scale of projects in diversified areas viz. cement plants, automobile factories, process plants, glass factories & warehouses etc. IT & institutional spaces: We offer the turnkey solution for the construction & infrastructure development of IT parks, educational institutions, convention centers, public buildings & sports stadium. Leisure infrastructure: We offer the turnkey solution for the construction & infrastructure development of world-class hotels, commercial mall, recreational areas, sports centers & parks, sports halls, ski resorts, baths & swimming pools, water bodies. Residential buildings: Construction services for large residential complexes, high rise residential tower, luxury villas on design & build basis.